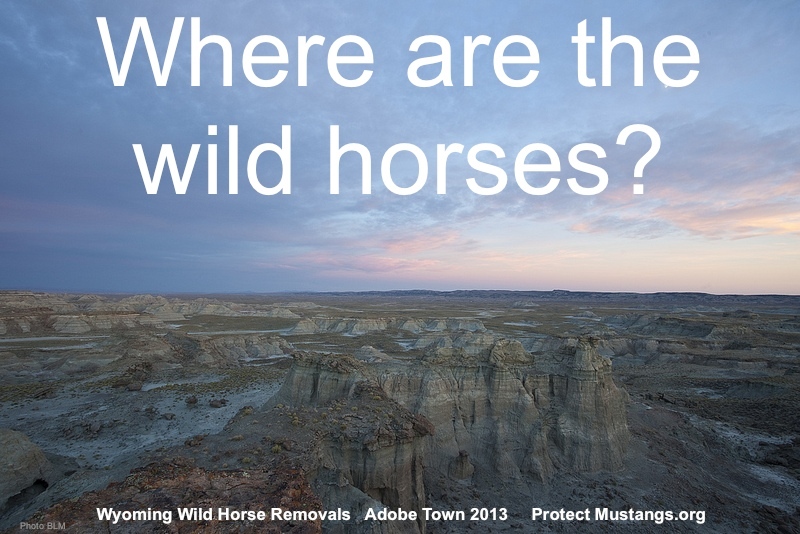 The Bureau of Land Management (BLM) Rock Springs Field Office will remove all wild horses from checkerboard lands within the Great Divide Basin, Adobe Town and Salt Wells Creek herd management areas (HMAs) beginning approximately Aug. 20. This removal comes at the request of private land owners and to comply with the 2013 Consent Decree for Rock Springs Grazing Association (RSGA) vs. Salazar, No. 11-CV00263-NDF, and Section 4 of the Wild Free-Roaming Horse and Burro Act of 1971. The three HMAs total approximately 2,427,220 acres, with 1,242,176 acres falling within the checkerboard. The majority of private land in the HMAs is in the checkerboard of alternating sections of public and private land and owned or controlled by the RSGA. Wild horses will remain in the non-checkerboard sections of the HMAs. All removed wild horses will be examined by a veterinarian, dewormed, Coggins-tested and given booster shots. There will be opportunities to observe the removal. To be notified of these opportunities, please contact Shelley Gregory at 307-315-0612 or ssgregory@blm.gov to have your name added to the observation log. For more information, please visit www.blm.gov/wy/st/en/info/NEPA/documents/rsfo/Checkerboard.html, www.blm.gov/wy/st/en/programs/Wild_Horses/14cb-removal.html or contact Wild Horse Specialist Jay D’Ewart at 307-352-0331.